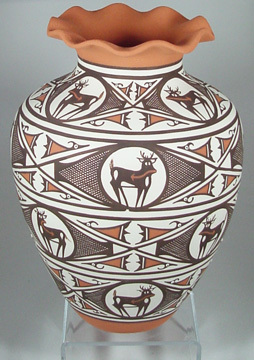 This is a tall piece of pottery made by Travis Pinkentewa from the Zuni Pueblo. 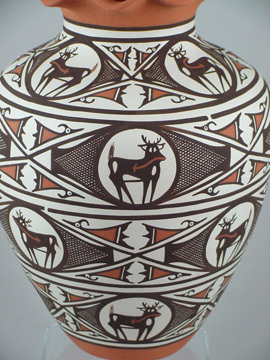 It is decorated with heart-line deer and geometric designs. 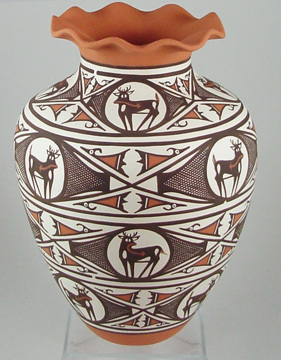 The top is flout-shaped around the mouth. This is a very elegant and well-done piece with solid painting, and is signed by Travis. 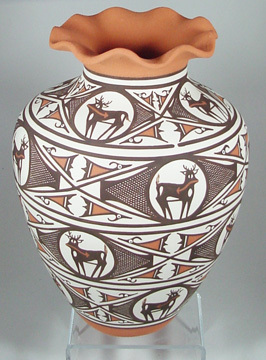 The pot measures 11 1/2 inches tall by 8 3/4 inches wide.